In this factory assembled sections of type XXI. 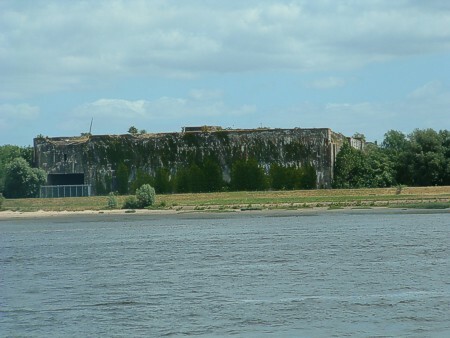 It has one dock that had a connection with the river Weser. 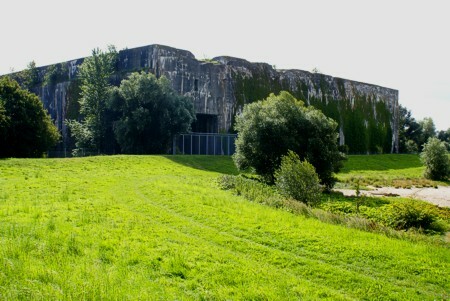 The factory measures 426 by 97 meters and the roof is 7 meters thick. 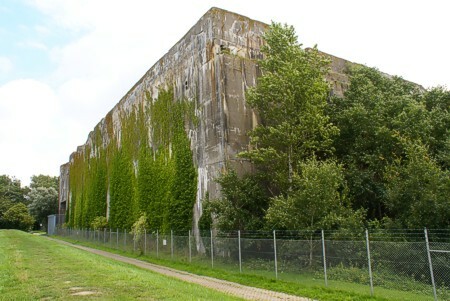 220.000 tons of cement were used. Peter Kaljouw took this one on board the "Happy Sailor" in 2006. One corner at the seaside. The other corner gives an impression of it size.